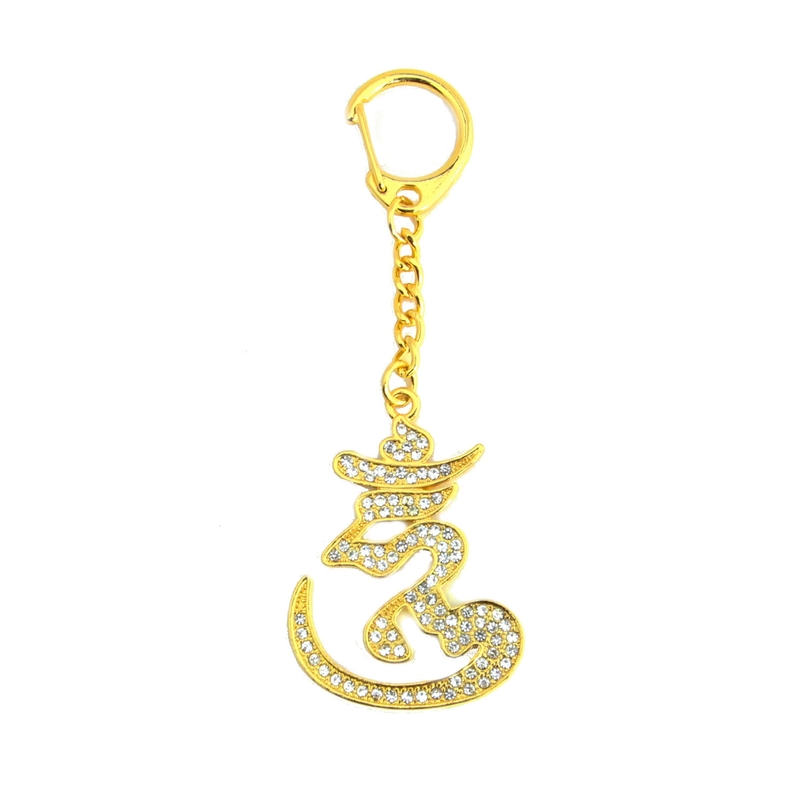 This gorgeous jeweled hum keychain is the perfect accessory for enhanced good fortune and harmony, and is a great gift for family and friends. This lovely keychain is perfect for placing on your purse, wallet, clothing item, hanging on your car, etc. The Hum symbol is believed to be the foundation of all prayers and mantras, and is said to represent harmony between the heaven, earth, and mankind. Carrying the hum symbol can help overcome obstacles, serve as protection against evil spirits and misfortunes, and bring good fortune. Also, the hum keychain can grant its owner wisdom, determination, happiness, and fortune by arousing generosity, compassion, and kindness. The Hum symbol is the seed syllable of the great Guru Rinpoche and is a powerful representation of good fortune and good wishes. The Hum symbol holds the great power of making wishes come true. The dimension of the feng shui HUM amulet keychain is approx. 4 1/4" in length. The dimension of HUM itself is approx. 1 1/2" x 2" x 1/8". is made of alloy.